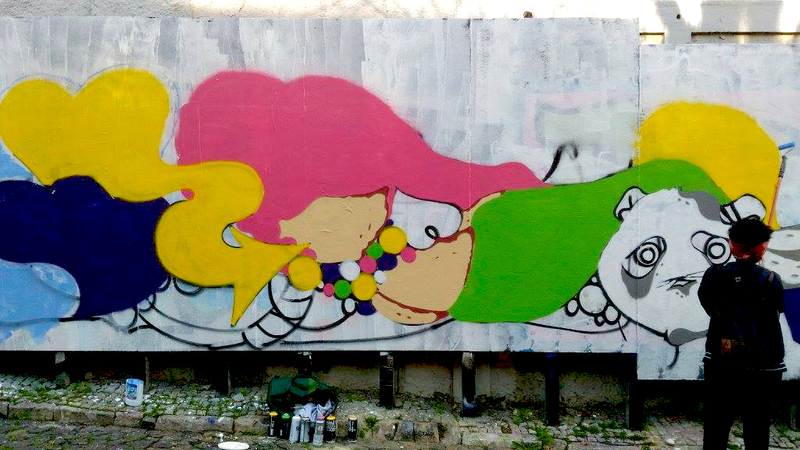 Several times a year we invite a few established graffiti-writers and street artists based in/or from Lisbon to join an artistic afternoon. They are invited to paint around a chosen theme of thesession that takes place. Because of its location (Calçada da Gloria, Lisbon) we do aim to invite people passing by to also try out themselves. Everyone who wants to join is welcome! 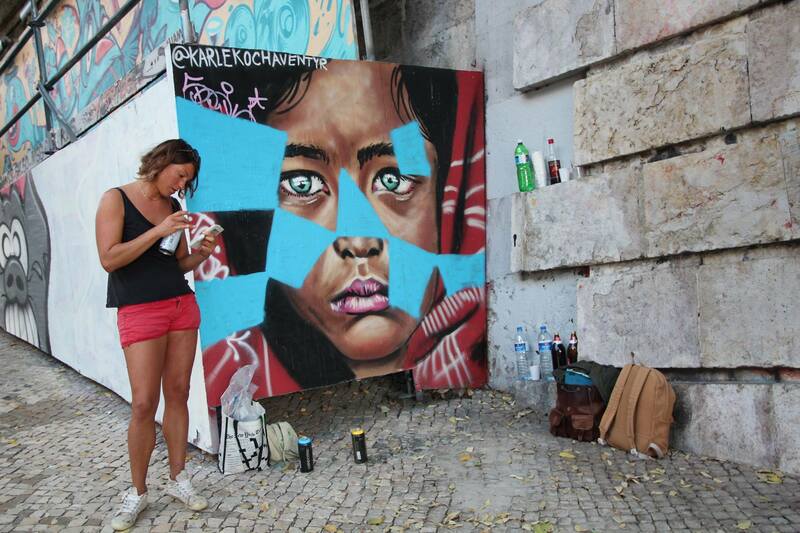 Because we want people to learn the tricks of the trade, in an informal though ludique way, to paint/create/spray/intervene on some “legal” walls and leave “their imaginary mark” in Lisbon! The ultimate aim is to inspire each to find different ways to express oneself whether it be with letters or characters, with installations or performances. But also to learn in the exchange with artists that found ways to explore, express and experiment through different media in public space. This way we want to show our respect and appreciation for how they colour and beautify our cities and promote their works and message out there. One of our very initial happenings took place in March 2016 on a very special day, no doubt about that! Dia da Mulher became our yearly celebration moment with imaginative minds to celebrate all women around the world! At first we had some good friends joining us, fe. Kurtz Amor from Portugal and Utopia from Brazil. They affected and impressed others with their enthusiasm and skills. Have a look at what this International day of the Woman looked like in 2016: photographic overview (made by Rita Antunes). 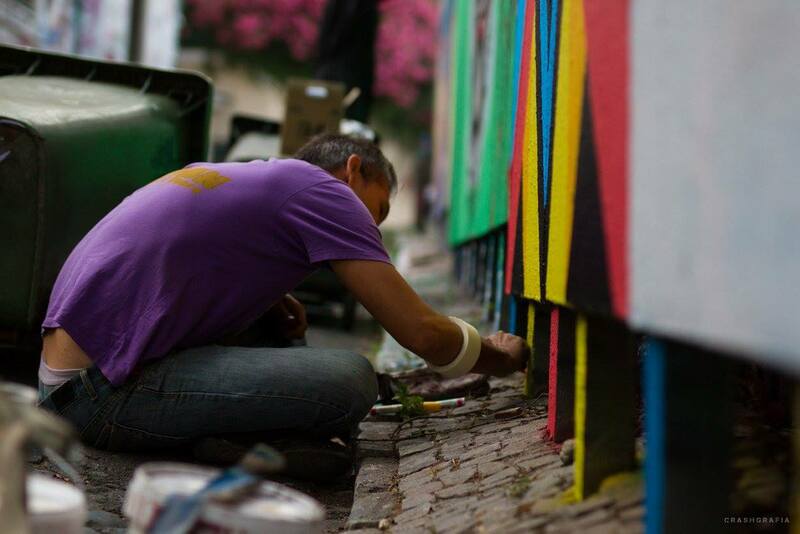 Samb’Art was our very first experiment with this socio-cultural collaboration between Brazilian artists as well as a Brazilian association called Casa do Brazil. Casa do Brazil aims to create a space where you can learn more about Brazilian culture with dancing class, workshops, cinema sessions, exhibitions… But also intent to provide to Brazilian immigrants legal advice and all kinds of social matter assistance. Just after the end of the summer, there is nothing better than our Back to school paintjam! A new schoolyear behind the banks (and bars?) and we love to highlight that exciting beginning of new friends, teachers, classes, daytrips, dreadful exams, endless homework, detention, cafeteriafood with some paint on the walls ! 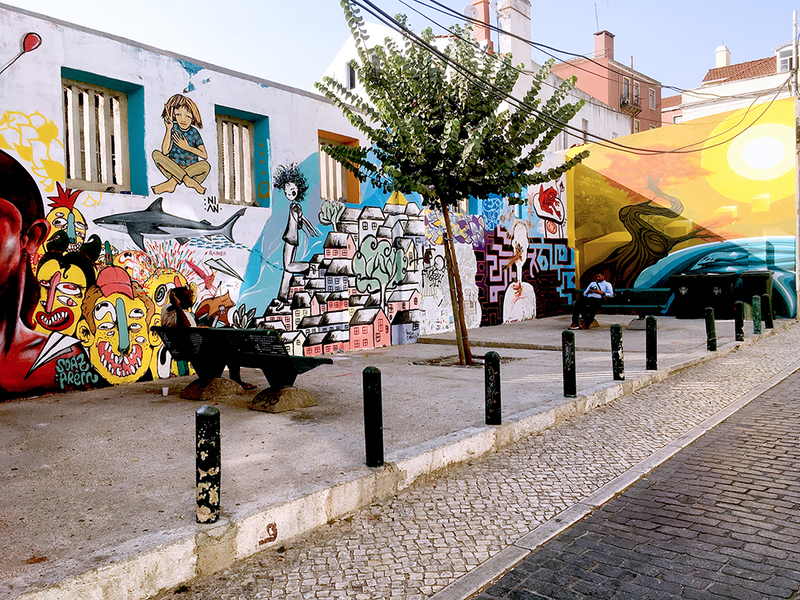 For our last edition, with the collaboration of Renovar a Mouraria, we got the opportunity to conquer a multiculti hotspot in Lisbon. 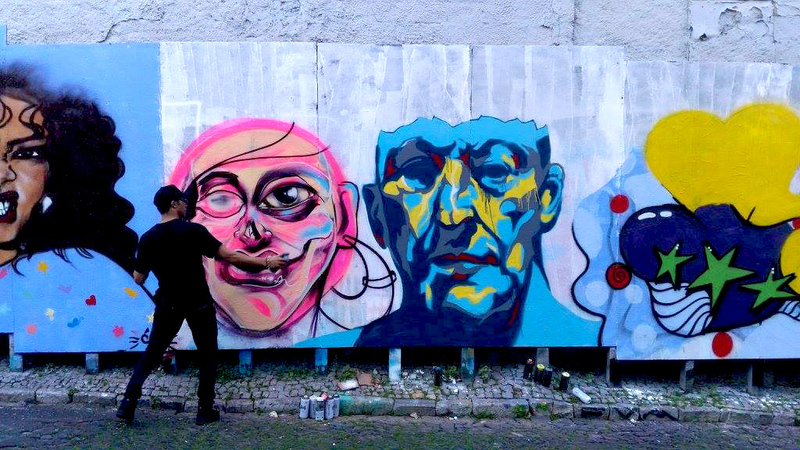 Nowadays we try to connect with a wide range of artists, not only to express themselves on panels and walls but also to connect to a local organization, inititiative, collective, association… that aims to realize a social footprint in this world aka Lisbon. 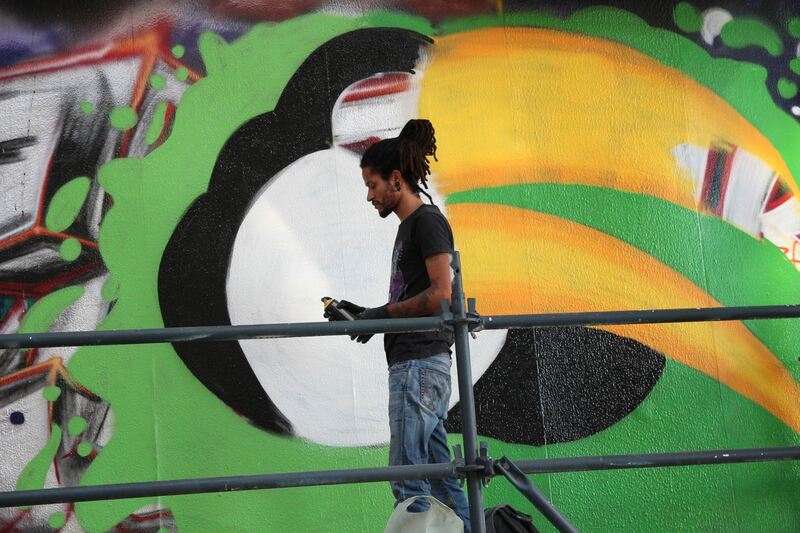 You can check out our Facebook and Instagram pages to keep updated on our latest creative events ! © video made by our team member Wojtek aka Fixitizer. 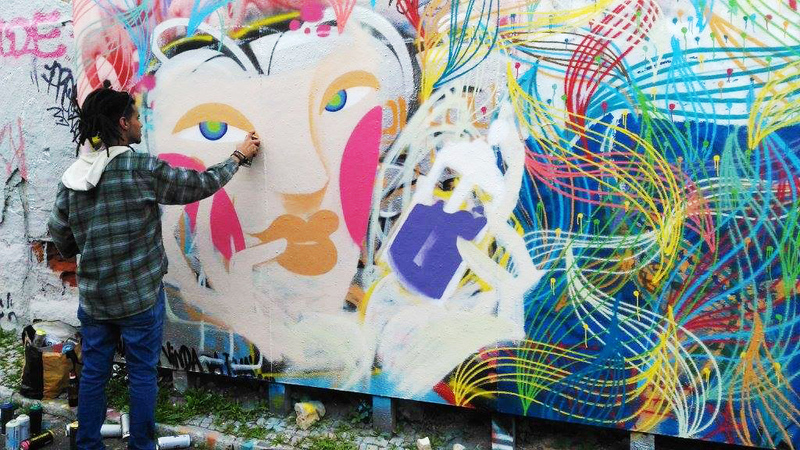 Note: A percentage of the money earned through the different projects that are involved in the yesyoucan.spray collective, goes directly to the organization of those workshops and paintsessions (artists and logistics) and other related activities within the collective.